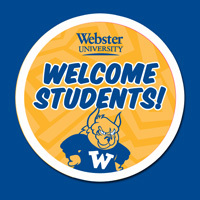 Welcoming our new and returning graduate students is crucial and impactful for Webster University. Again this year the Welcome Student Committee is in need of your help staffing our Welcome Tables during the weeks of Aug. 20-30, 2018. If you are interested in offering your time and energy, please sign-up to volunteer through the link in this post. We hope to see you as we welcome students to campus! With the kickoff of the Fall 2015 semester, new students and orientation leaders participated in fun events to get ready for the year. 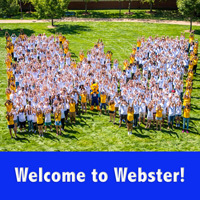 This video shares sights and sounds from orientation and welcome week activities in St. Louis, including the formation of the human "W" on the quad.